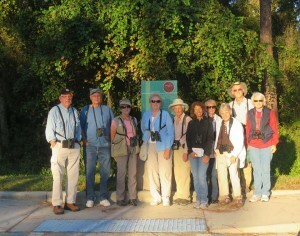 On Saturday, October 22, eleven PRAS members and friends traveled to the 55-acre Conservatory Park in Manatee County. Located off of University Parkway in Sarasota, this park, purchased in August of 2004 by Manatee County, is surrounded by a series of lovely homes. The cool morning turned into a picture-perfect day with a greater-than-expected display of birds. Along the trails, members demonstrated use of state-of-the-art physical fitness equipment. 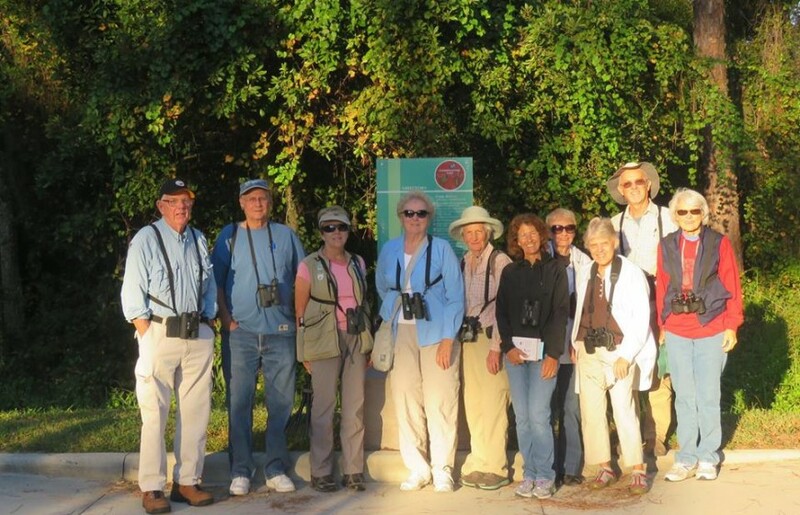 Following this walk at Conservatory Park, participants paid a visit to Celery Fields which is now provides a wonderful facility built by Sarasota Audubon Society. Birding at this Sarasota County site proved very rewarding. A total of 46 birds were recorded at Conservatory Park and Celery Fields. They were: Anhinga, Red-winged Blackbird, Northern Cardinal, Gray Catbird, Double-crested Cormorant, Fish Crow, Mourning Dove, Mottled Ducks, Cattle Egret, Great Egret, Snowy Egret, Common Gallinule, Blue-gray Gnatcatcher, Common Grackle, Pie-billed Grebe, Cooper’s Hawk, Red-shouldered Hawk, Great Blue Heron, Green Heron, Little Blue Heron, Tri-colored Heron, Blue Jay, Glossy Ibis, White Ibis, Kestrel, Belted Kingfisher, Limpkin, Northern Mockingbird, Osprey, Eastern Peewee, Yellow-bellied Sapsucker, Wilson’s Snipe, Roseate Spoonbill, Wood Stork, Tufted Titmouse, Black Vulture, Turkey Vulture, Black and White Warbler, Palm Warbler, Pine Warbler, Tennessee Warbler, Pileated Woodpecker, Red-bellied Woodpecker, Carolina Wren, Greater Yellowlegs, Lesser Yellowlegs. A selection of photos and videos from this field trip can be viewed on our Peace River Audubon Facebook Page (see the post on October 24 at 10:21am) . Report submitted by Larry Behrens.